The A. W. Tozer Bible from Hendrickson Publishers is a study/devotional Bible with writings from one of the 20th century’s most beloved Christian authors. A. W. Tozer was a Pastor, Preacher, Teacher, and Student who wrote many books in his 40-year ministry. This Bible includes over 500 selections from his writings. The font looks to be a more modern digital font. I’m not sure of the font’s size, but it looks close to 9-point. It has extra leading between the lines, giving plenty of room to underline. There are no footnotes indicators in the text itself. This makes the text very clean and readable. One of my favorite features is the text layout. Poetry is set in verse format which is offset from the regular text. I like the way this looks. It helps not only to identify the genre of Scripture, but also makes the text more readable. The reference of the first verse that appears on the page is printed at the top of each page. Paragraph markers continue throughout the New Testament. Headings and verse numbers are bold, making them stand out from the rest of the text. The red-letter is a nice shade of red. There is some variation, but it does look nice and it’s very readable. Book introductions include information on the books background, message, time, and an outline complete with verses. The paper isn’t shiny or too thin, making this a good Bible for coloring and writing. It’s fairly opaque, making it easier to read. The references are on the outside margin. They include the verse number. There are no indicators in the text to know which reference goes to which portion of the verse. There are a lot of references, with most verses having several. The references do not contain translation notes. What makes this Bible unique is its 500 selections that are taken from 40 of Tozer’s writings. The selections are placed into three categories called On Scripture, Reflections, and Challenges and mostly vary from 2 to 4 paragraphs (though there are a few smaller and a few larger). The selections are well-written with the focus on deepening your walk with God. 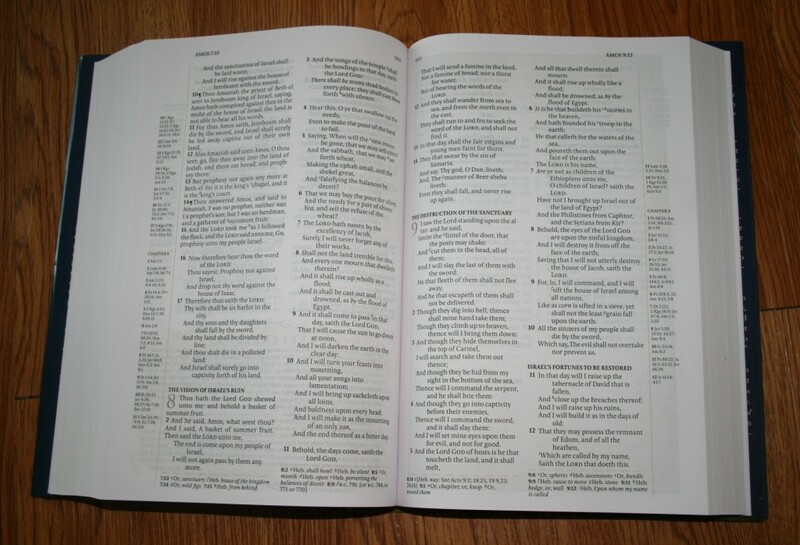 On Scripture – these are insights of specific verses or passages. They’re found on the page with the passage and often contain thoughts on application. These make up the majority of the articles. Reflections – the articles are deeper thoughts about the application of Scripture. Challenges – these are challenges to strengthen your walk with God through Biblical application. The concordance is 145 pages. There are plenty of entries to look up. The entry for God takes almost a full column of text, which is more than most Bibles. There are 8 pages of maps. The maps are in full color and they look nice. The paper for the maps is thicker than the other paper. There is no index to maps. In the back is a list of Tozer’s 40 works that are cited throughout the Bible. 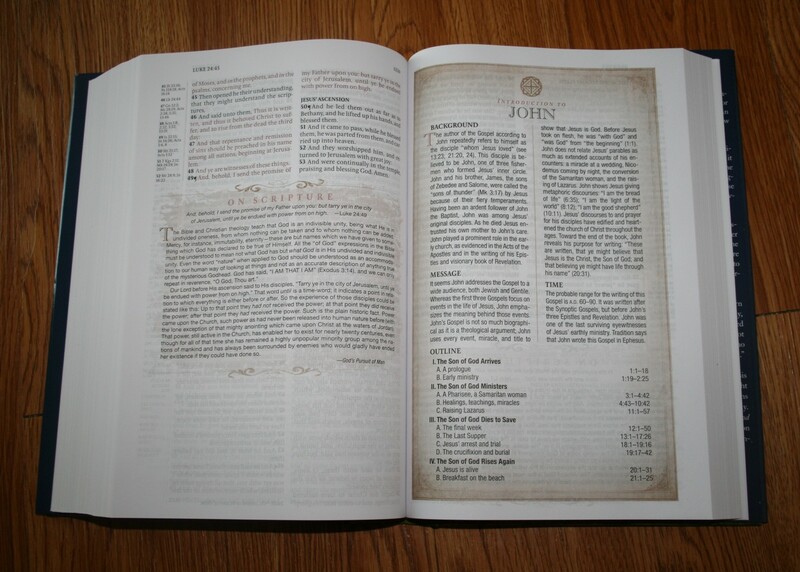 The A. W. Tozer Bible has many features in its layout that I would like to see as standard in Bibles. As far as the content, there are a lot of insights that make for good thought-provoking study and reading. Tozer’s writings give this Bible a rich devotional quality. The A. W. Tozer Bible would be a valuable addition to your library. 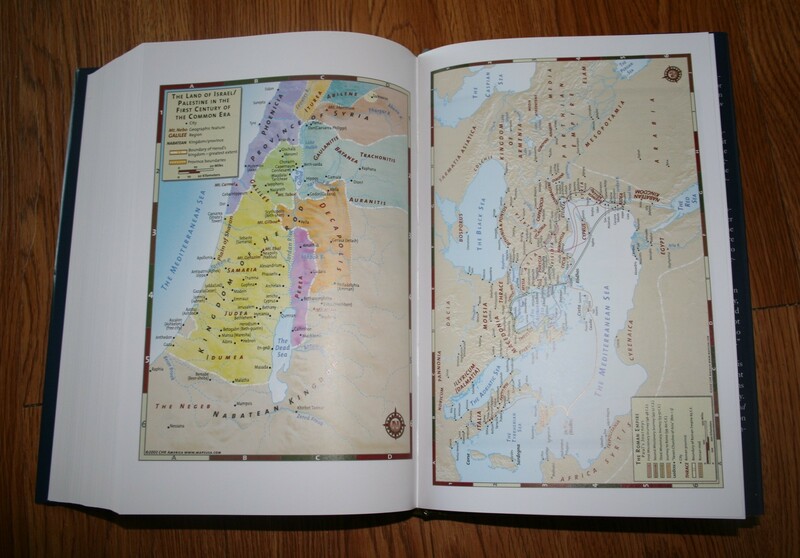 The Bible was provided for free for review by Hendrickson Publishers. I was not required to give a positive review- only an honest review.